This coffee is comprised of the finest arabica beans carefully selected fromn Tata Coffee estates located in what is known as the birthplace of coffee in India. 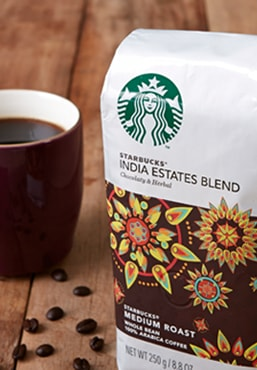 India Estates Blend is a medium roast coffee with medium body and acidity. A fine balance between herbal & chocolate notes.